The NBA is getting better viewership numbers than ever. This is despite the fact that the Warriors have dominated the league for 4 seasons now, and are well on course to a 3rd straight title judging by the superstar addition they made in the offseason in the form of DeMarcus Cousins. 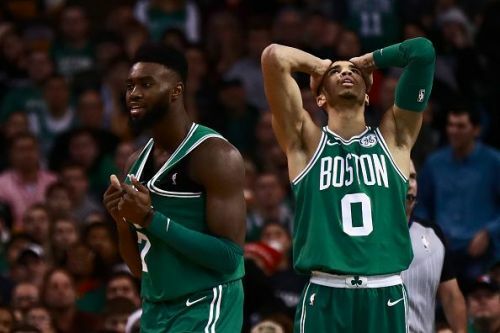 What has, however, improved viewership across the globe is the increased reach of the sport since the Jordan days, in addition to the increased level of talent across the league - the main reason for why you are likely to find a Celtics fan, a Jazz fan and a Thunder fan arguing over which team has the best chance of beating Golden State in Kazakhstan. A 6'3" shooting guard with a 6'11" wingspan who also happens to throw down some mean dunks and has an amazingly quick first step? 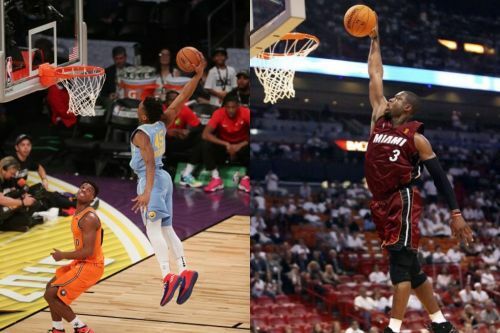 Watching Donovan Mitchell closely for the first time in his 41-point game against the Pelicans, the one player that I was instantly reminded of while watching him was a young Dwyane Wade. Like The Flash, the Spida has the ability to get to the paint almost at will - though he uses it more sparingly in line with modern NBA trends. There are better ballhandlers all around the league than him, but his ability to shift weight from one side to another, extremely explosive first step and ultra-elite ability to finish through traffic while contorting is special, and is uniquely reminiscent of a prime Dwyane Wade. Pretty much like Wade, who ensured the Heat's progress to the second round of the playoffs in the 2003-04 NBA season with some clutch performances, Mitchell was the best player in the first round of a playoff series that pitted him against Westbrook and Paul George - 2 perennial All Stars. The best part about Mitchell is that he is a really quick learner, and imbibes new moves into his skillset in a matter of weeks. If he keeps improving as he did all year long during his rookie season, the sky is the limit for this youngster.